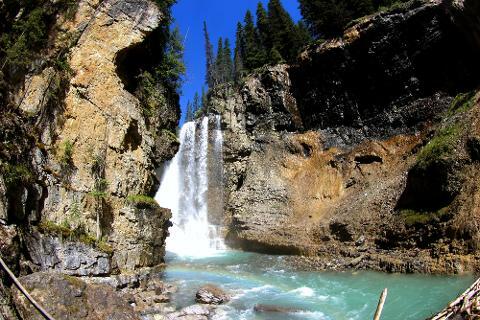 Travel with your guide through jaw-dropping views of Banff and Jasper national park in the heart of the the Canadian Rockies in 12 hours guided tour. 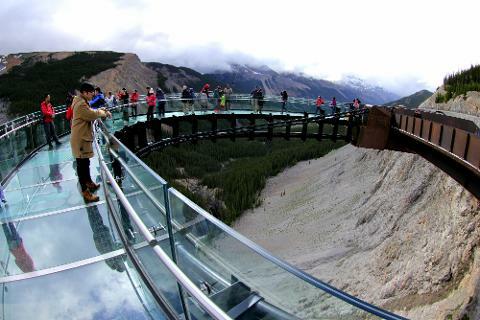 Take a tour on the regional attractions such as Johnson Canyon, Lake Louise, Moraine Lake, Peyto Lake, Columbia Ice Fields (Athabasca Glacier), Athabasca Falls and Glacier skywalk. Your Ccanadian Rockies day adventure starts with morning hike at Johnson Canyon after scheduled hotel pick up's in Canmore and Banff. At Johnson Canyon ascend along a network of steel catwalks and enjoy striking views of lower falls seen from the canyon cave. At the end of trail absorb breath of fresh air mist from upper water falls. 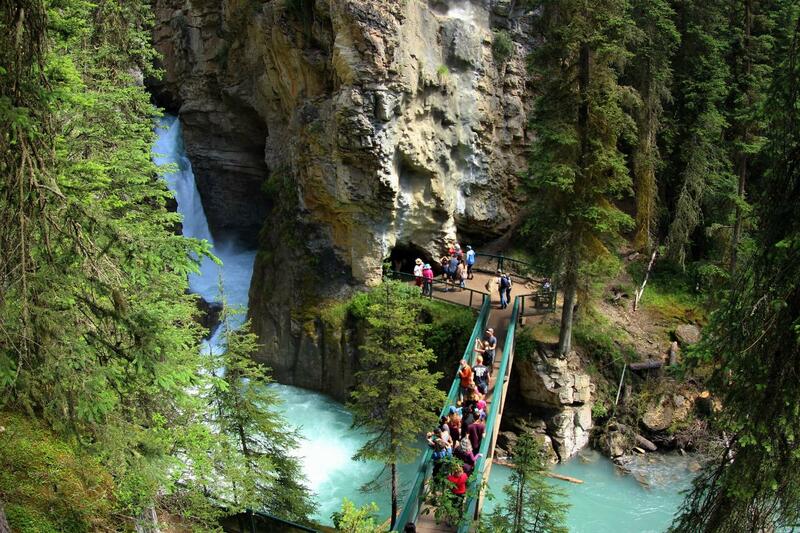 Continue Rockies adventure with stop over at UNESCO world heritage sites of Lake Louise and Moraine Lake. Learn about the regions history as your passionate guide lead you to indigo blue waters of Lake Louise. After Moraine Lake; Peyto lake awaits to please your eyes. Bring your camera to take some stunning pictures from Peyto Lake view point. 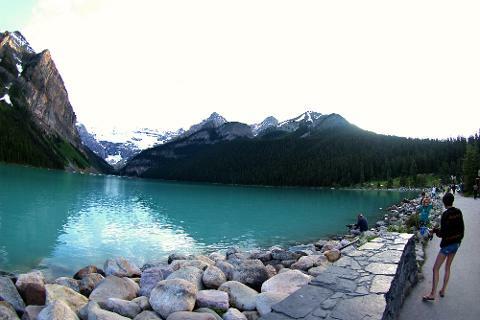 Take a break from all the beauties Canadian Rockies has to offer with refreshing bottle of water and lunch box provided. 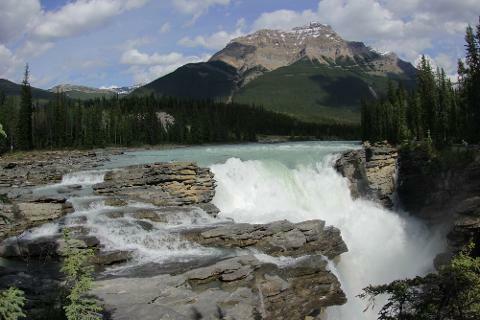 Proceed to Jasper national park with stop over sightseeing's at Columbia Ice Fields, Glacier Skywalk and Athabasca Falls. 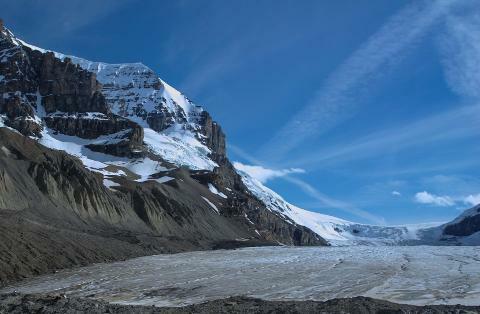 Take part in the ice explorer tour onto the Athabasca Glacier. Your Banff - Jasper adventure ends with hotel drop off's in Jasper town. La preghiamo di notare: Quando il vostro acquisto sarà convalidato, le invieremo una email di conferma.